We are in the process of rehabilitating, beautifying, and creating outdoor learning space in our school’s courtyards. Years of weeds have been cleared to make way for a native garden, including three salvaged boats that have been painted to resemble the Jamestown boats and set as planters. 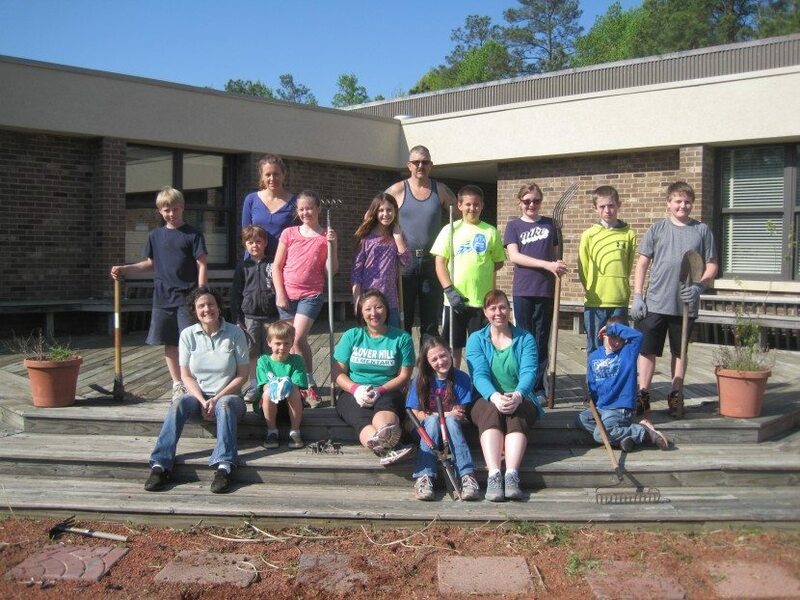 The Sunday after Earth Day, we organized a volunteer day with parents, teachers, and students to continue weeding and plant native flowers, shrubs, and trees.